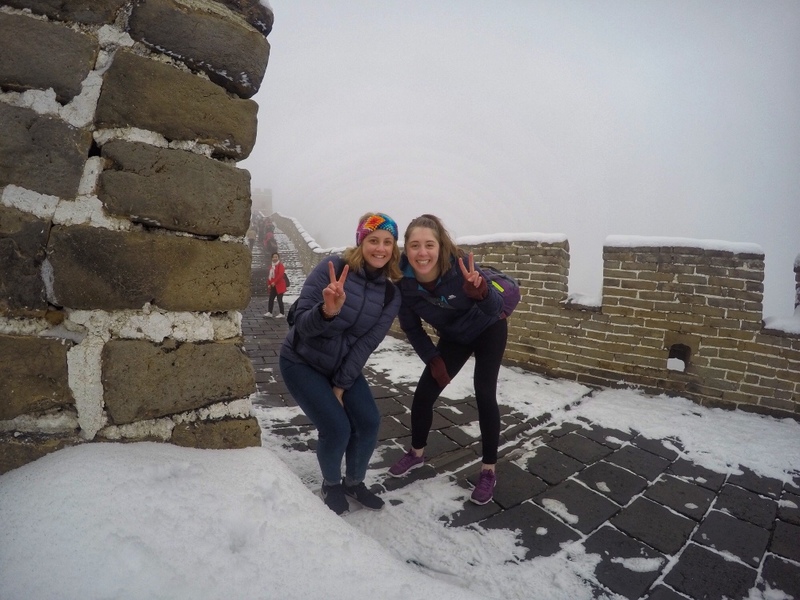 Okay so one minute we’re sweating in 30 degree heat, the next thing I’m in a hat, gloves, two jumpers and duck down coat – Beijing is cold. After a relaxing start to Wednesday morning (and a much needed looonnnggg sleep), we headed North of our hostel to Tiananmen Square, which was built in 1417. 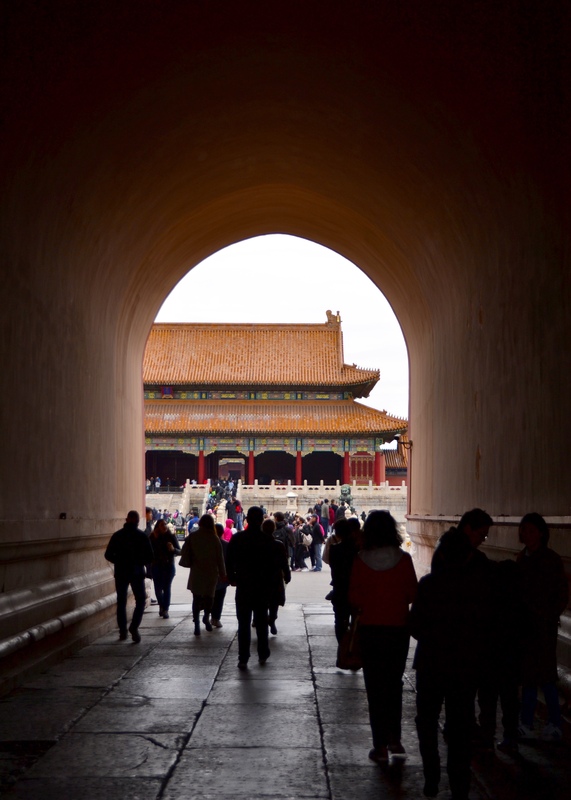 Beyond there, we headed to the Forbidden City, which is made up of hundreds of buildings and thousands of rooms, and can be confusing at times. As China is super high tech these days, local tourists are expected to purchase tickets online by scanning a prominent QR code and using their Chinese ID cards. This website however is all in Chinese so as a foreign visitor you can head to a booth at back right corner of the entrance square, just before the Meridian Entrance gate (the building has a grey roof). You’ll need your passport as they use this number as your ticket and don’t issue you a paper one – it’s CNY 60. 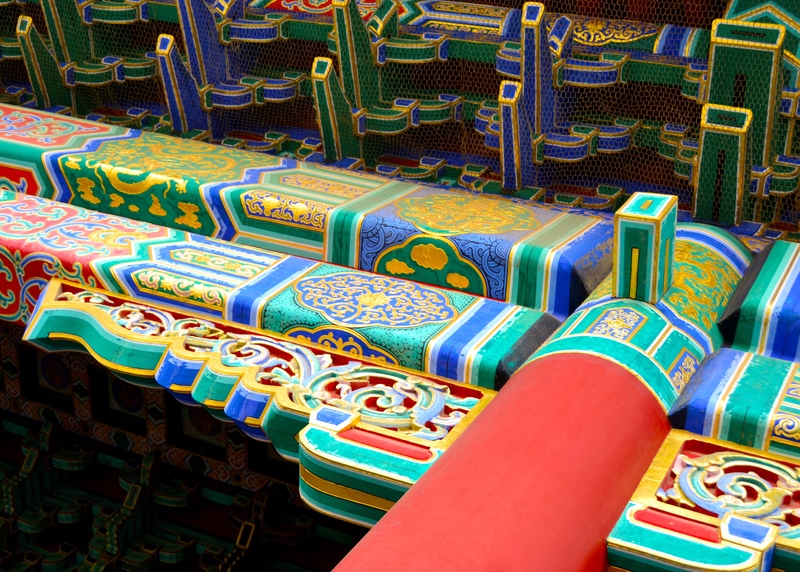 Once inside, you’ll walk through the vast areas of the Forbidden City, each building with it’s own story and charm. There’s more than one million square metres of area here, although a lot is blocked off to the public. There’s so many intricate details, painting, roofs, buildings, gardens and rooms to maintain that looking after the place is an on-going restoration project. Don’t miss the Clock Exhibition Hall which shows chiming displays at 11am and 2pm – head to the back ahead of time to get the best view of enchanting time pieces in a huge glass cabinet. Clocks from all over the world are displayed here, many from London too which was cool – imported all that way hundreds of years ago. 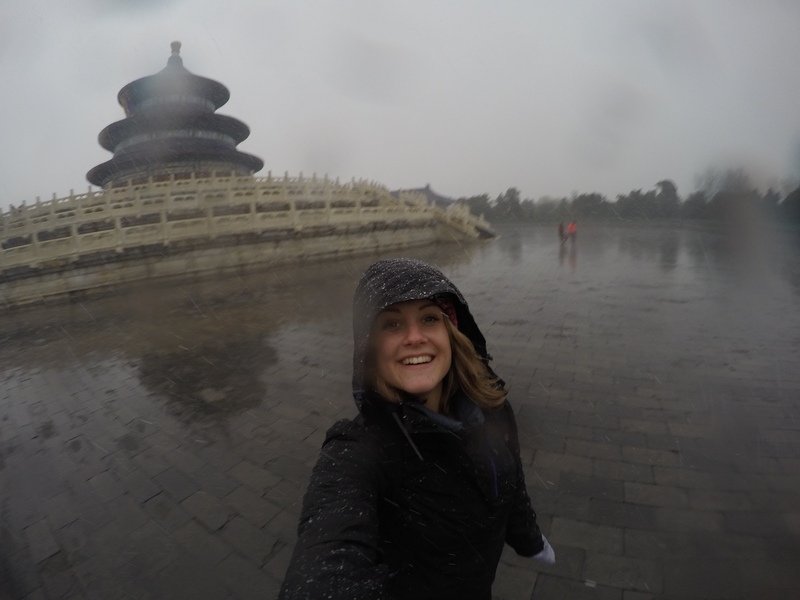 Despite the rain we later headed south to the Temple of Heaven Park, which of course in my guide book looked incredible in the sunshine – whereas we were covered in snow and soaking wet hahah. Take the metro to Tiantendongmen (line 5 exit A), then get an inclusive ticket when you arrive at the gate we had to pay twice (once for the park / once to get into the temple). The park itself has a number of examples of Ming aritectural design, including the Imperial Vault of Heaven and the Hall of Prayer for Good Harvests – we saw just those two before heading back home to get warm – I can imagine the whole park is beautiful in the sunshine! No trip to Beijing is complete without a trip to the hottest tourist attraction in China, ok not so hot for us. 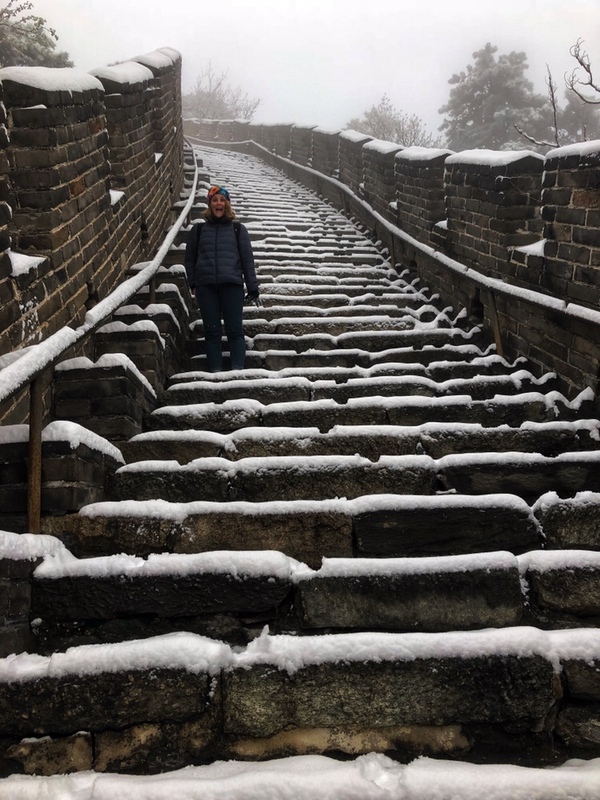 Despite gorgeous weather earlier this week, as you will have read we were subject to snow here in Beijing, and in fact 90 mins out the city up in the mountains, the snow had only fallen even heavier. We had booked a private driver for the Mutianyu section; three km, with a number of watch towers, two cable cars and a toboggan back down! We used Mark’s Mutianyu, recommended to me by Kate – CNY 750 for an English speaking driver who helped us get the tickets etc and dropped us back in Beijing when we were ready to leave. Not many people will likely experience what we did; it was amazing but sad not to see the winding wall and turrets across the hills. We did however arrive at about 8.15am and had a good 45 mins – 1 hour pretty much alone walking up to watch tower one which was amazing. Despite the lack of far reaching views, just being on the wall was really exciting – the snowy paving was pretty slippy in some sections (I managed to drag one of the members of staff down the hill with me at one point as a slipped haha), but as it warmed up it was a lot easier to get around. Come 9.30/10am lots more people arrived – getting up and down into the watch towers was busier, especially as people were being very careful. I would 100% recommend (in any weather) getting there early like we did, just to have 30 mins or so to yourself as much as possible! We left Beijing at around 6.30am after two hostel pick ups to do this. Despite our high hopes, the toboggan wasn’t open for us due to the weather, but it sounds amazing from what I’ve heard! 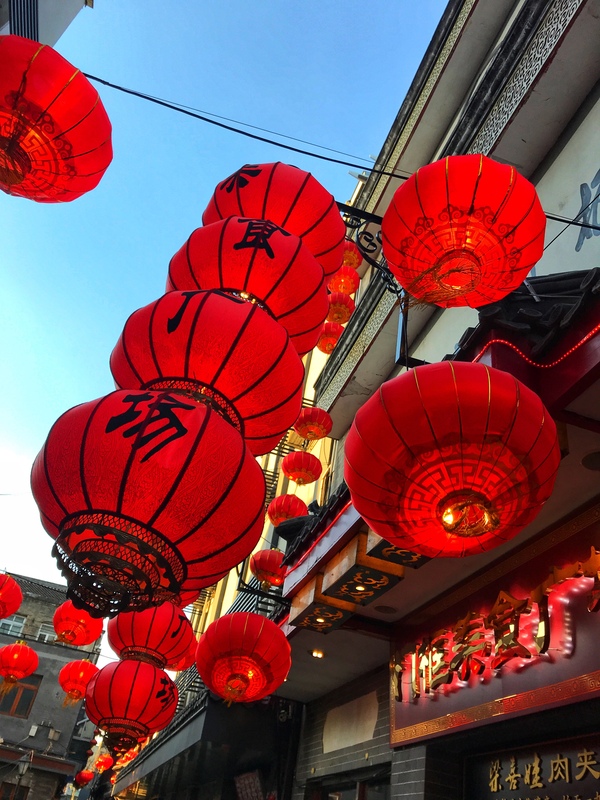 After our morning adventure we needed to refuel, so had our driver Marvin drop us at Dadong, a well-known restaurant for our Peking duck and pancakes fix. The chef carved at our table and we had our own tiny platters of sauce and veg to accompany our crepes – so delicious. The restaurant wasn’t cheap, but relative to home it wasn’t overly pricey for what we had, I’d definitely recommend. 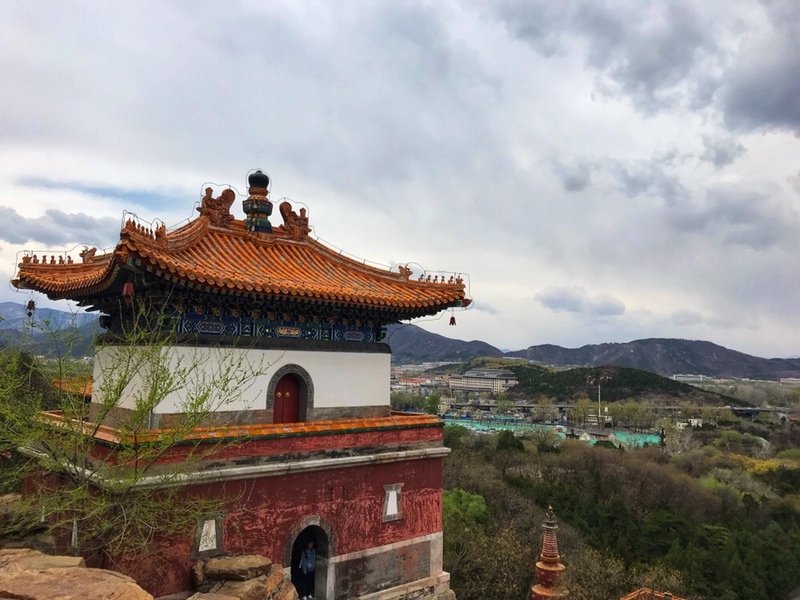 We spent the majority of our final day in Beijing exploring the Summer Palace, which is just North West of the main city. We took the metro to Beigongmen station, came out and turned left to enter via the North entrance, with no idea what to expect and bought an all incisive ticket for CNY 60. Upon entry you’re met with an over the top collection of buildings, garden, rocks, rivers, bridges, shops and colourful archways. The attraction caters for tourists with plenty of refreshments and toilet facilities (China is awesome at toilets btw, they’re everywhere). 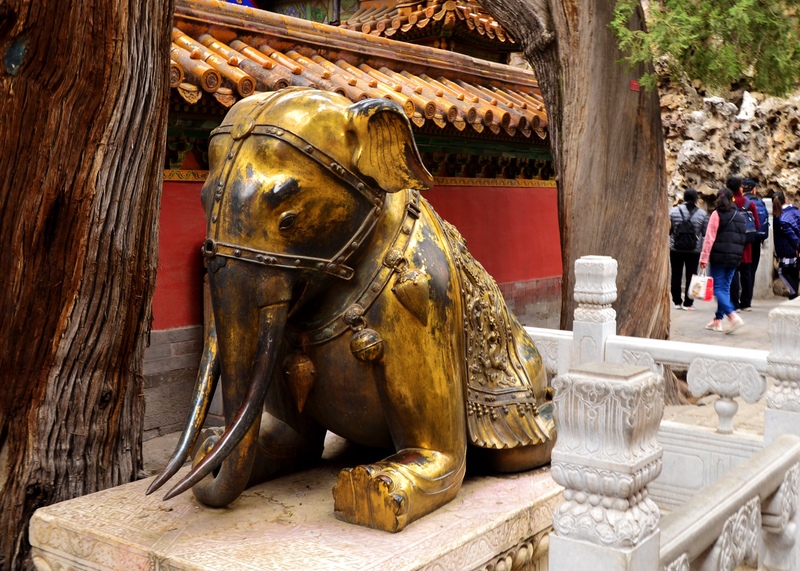 Originally the Summer Palace was built as a getaway for royalty, away from the Forbidden City – emperors and empresses spent summers here, and many chose to spend the majority of their time at the palace with some buildings being used specially for foreign and political dealings actually. 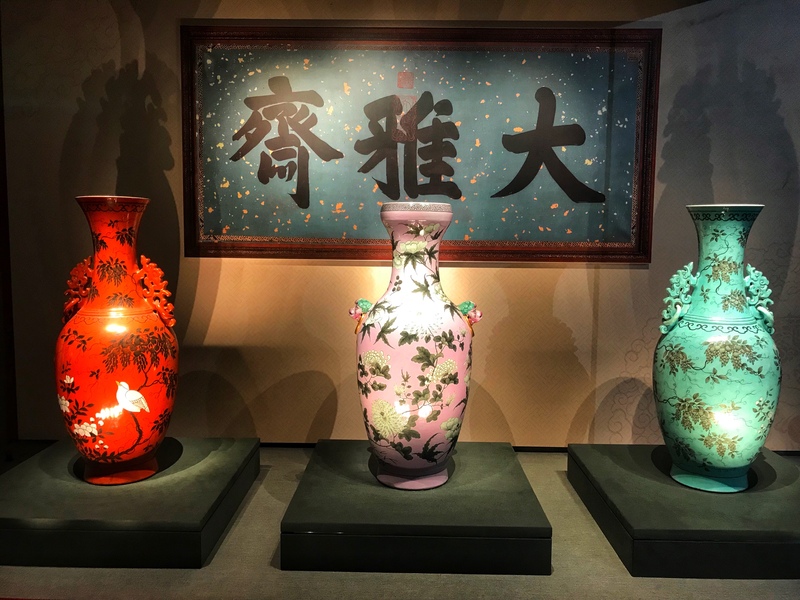 With your all inclusive ticket you can explore the nooks and crannies of the Tower of Buddhist Incense, wander the narrow sidewalks of Suzhou Street, take in the sights of the Garden of Virtue & Harmony, and, finally, visit Wenchang Gallery which is full of gorgeous gifts from abroad, porcelain crockery, hand crafted goods and much more – I actually loved this area, it was amazing seeing such beautiful items (plus they were displayed in very lovely lighting). 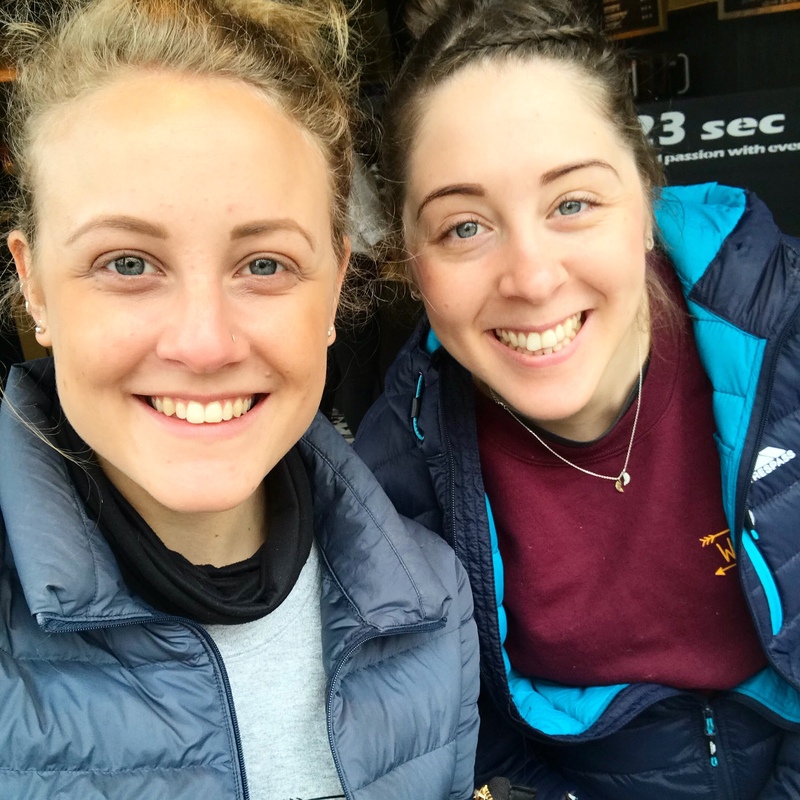 We had a fab time exploring, and had it not been cold and incredibly windy (say a summers day perhaps), it would have been even better for a picnic and a relax by the lake! The rest of the late afternoon was spent exploring Dashilar & Xīchéng South, just near to our hostel. 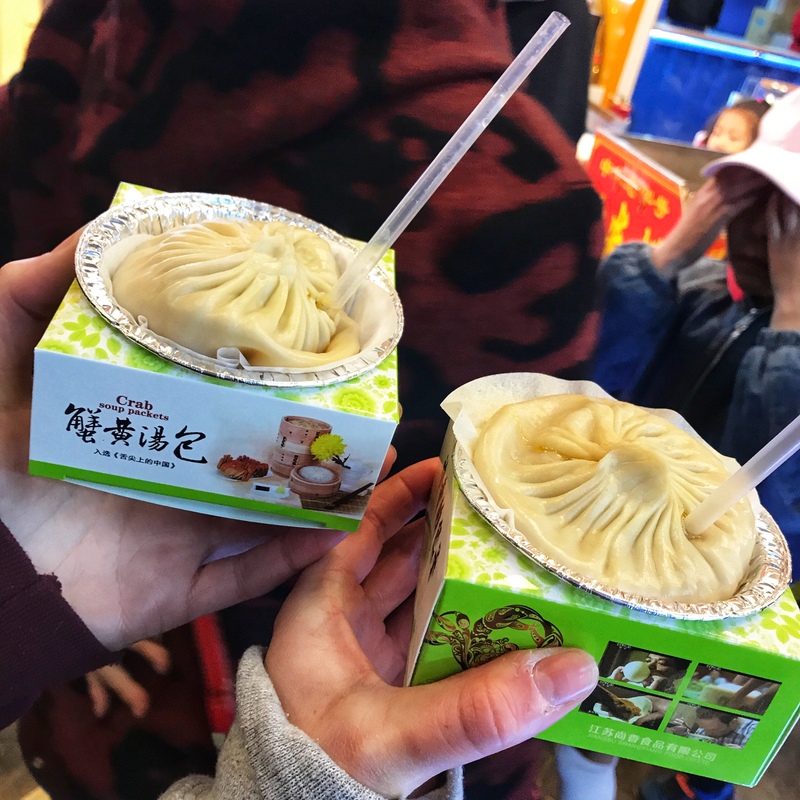 Here there are hutongs (small houses built around courtyards), shops and eateries galore so we spent time haggling for gifts and eating snacks. 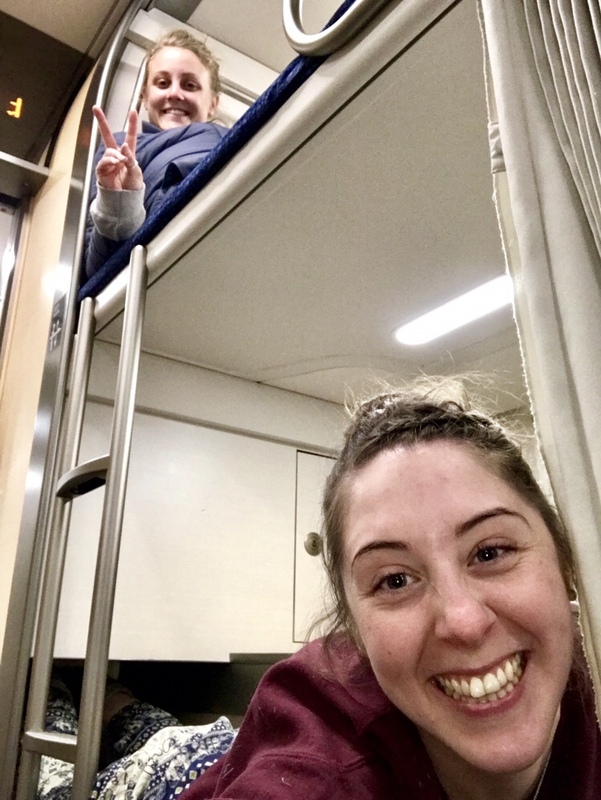 With plenty of time to spare (as we know what those pesky and huuuuge train stations are like for navigating), we headed to Beijing South railway station for our sleeper train to Shanghai! For about £60 and a 12 hour journey, I’ve justslept in a private booth with a curtain, power socket, a lovely duvet and plenty of safe storage for my belongings – winner! I love China.